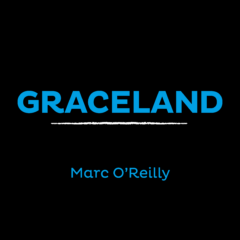 Marc O’Reilly has released his newest single ‘Graceland’ today. The song is the second single coming from his recently released album ‘Morality Mortality’. ‘Graceland’ follows up the single ‘Bleed’ which has almost reached the amazing amount of 1 million streams on Spotify. With ‘Graceland’ the Irish singer-songwriter gives us a brooding slice of indie/blues. On the album ‘Morality Mortality’ Marc O’Reilly combines influences from folk with blues and roots-rock, showcasing him as an incredibly mature writer with a stunning vocal talent. Over the last years Marc O’Reilly has earned a reputation as a respectable live performer, playing shows at major festivals like Glastonbury, Eurosonic and Reeperbahn. This spring Marc will hit the road once again with a tour during which he will be playing several shows in the UK, amongst them a performance at the prestigious showcase festival ‘The Great Escape’. Besides this he will also be touring the Netherlands, see the full schedule below for his Dutch tour dates.